I can talk about Taiwan weather for ages. As the weather itself is very changeable it is a discussing issue. Centuries ago travelers call this area as “the Land of Mists and Typhoons”. And I can’t help supporting this view. You never know when the rain can start. You never know how long it will last. And you never know what it can bring with itself. Rains and Taiwan are united as they are the one thing and they always were. You could hardly find a Taiwanese without umbrella. Sometimes the rains are very pleasant, as they bring so delightful cool breeze during the day heat. Sometimes they are not. It starts raining cats and dogs and you can go out for a walk only if you are crazy. Sometimes rains are very dangerous. We learnt that while working in the forest when the heavy shower starts. Never, never walk the forest trail during the rain. It is not only very dangerous! No fear you will find any please from this trip. It is muddy and wet! And very-very slippery. As always happens, one can understand the meaning of something only when you experience it yourself. Now I can really understand the matter why offices close the trails in the rainy weather and after thunderstorms. How much in this word! Excitement and scare, inspiration and irritation, hope and disappointment. 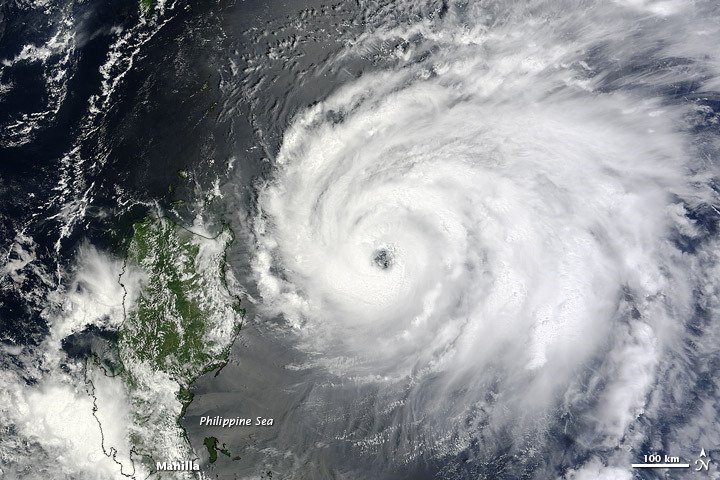 Summer is common time for Taiwan to have typhoons. Many of them. We have felt one – typhoon Saola. As for me, I was really very excited about such experience – I have never seen typhoon before. One day in-staying was enough for me to understand that there is nothing so pleasant in typhoon. And four days off because Dasyueshan was closed for typhoon time – make me even more persistent in this decision. 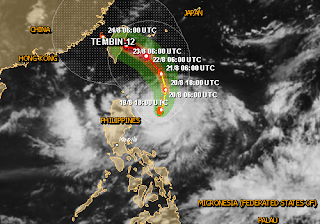 Then, we were happy not having hard typhoons in Central Taiwan – just influence some distant ones that bring us strong rains and thunderstorms. But now, we faced the possibility that there will be typhoon. Moreover there will be two of them, who can merge in the great and strong typhoon. 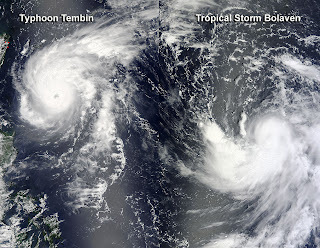 One is Tembin typhoon and another is Bolaven tropical storm. 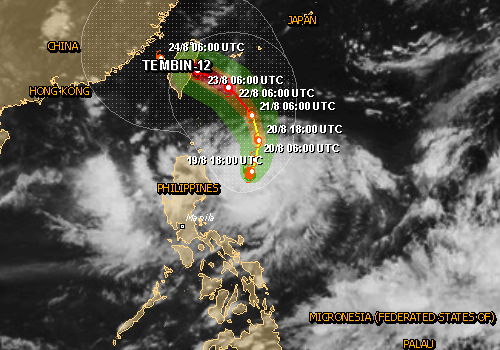 As meteorologists say, Tembin will reach Taiwan tomorrow exactly – there is a land warning already. Keep in touch for more information! Typhoon news! What it will bring us? But as for me, I don’t want this typhoons to come. It will mean that we wouldn’t go up to Dasyueshan nevertheless it is our last chance to come there this summer. It is really unbelievable but our internship almost finishes, I starts missing Taiwan already. I will be very upset if I couldn’t see Dasyueshan this week… But we have been already said that tomorrow and on Friday we will work in the office.